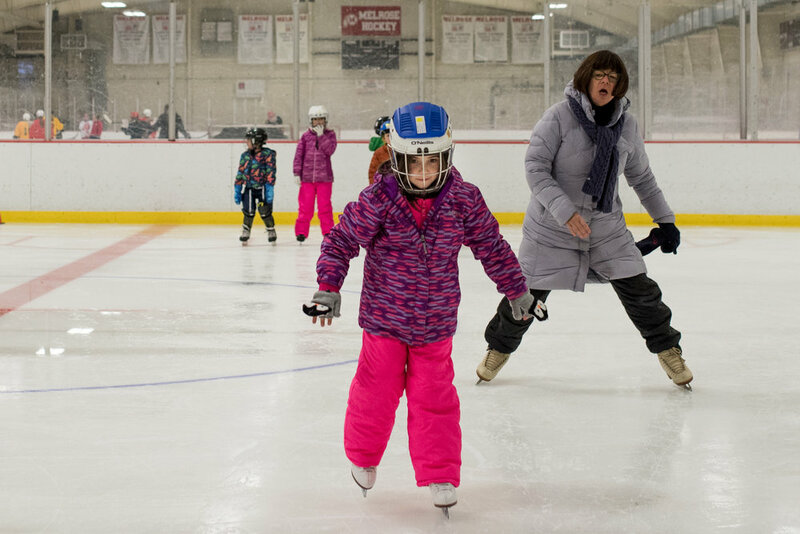 Ice skating is a rough-and-tumble antidote to the bubble-wrapped childhood, and at Flynn Rink they drive home that idea very quickly. The main entrance, a side door, is guarded all winter by two orange cones, calling attention to no particular obstacle. 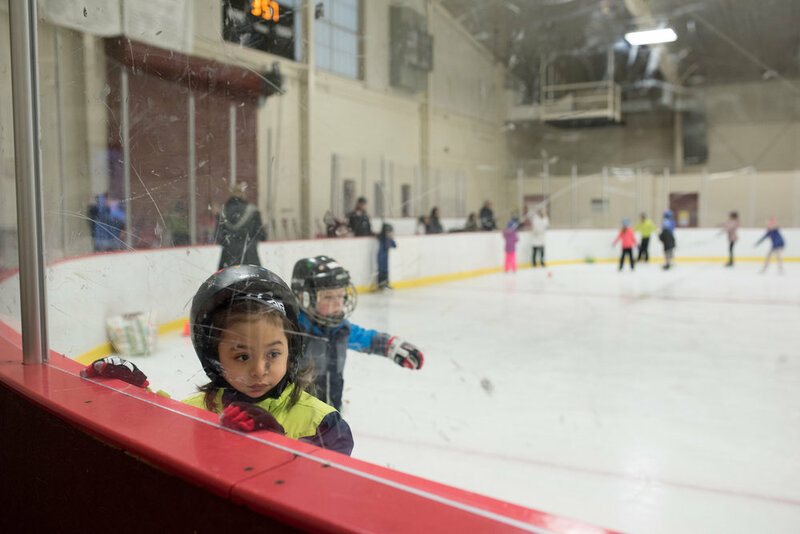 As families enter, younger children favor the side of the entrance furthest from the ice while the more experienced skaters hug the inside corner, eager to start this week’s ninety minutes. Flynn parents jam funny shoes with outsized blades onto the feet of their bundled charges. Some wrap their children in kneepads and face masks, others just tighten a bicycle helmet and expect to see bruises by the end of the day. 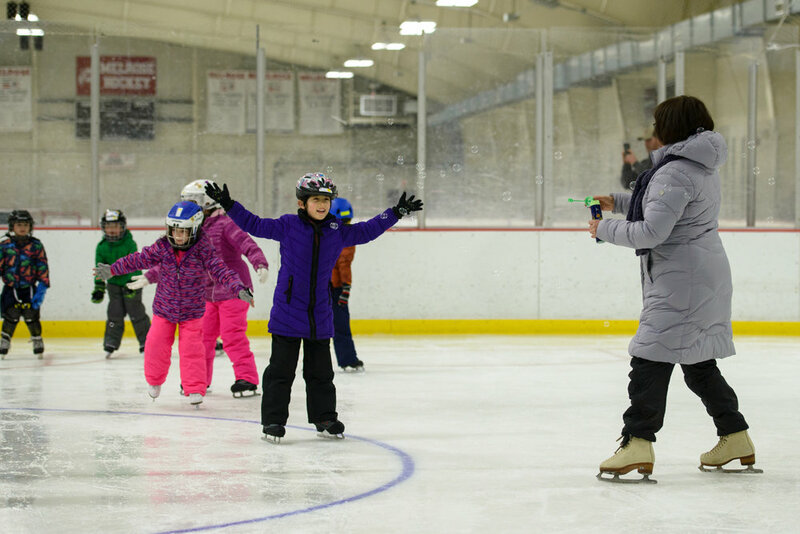 December is the start of the season for Flynn Rink, so the family rink’s ice is packed daily with first-time skaters. Instructors play games of follow-the-leader and redlight green-light with packs of nervous tykes, stumbling and squatting as though learning to walk all over again. It’s a rare moment when everyone on the rink is standing at once. 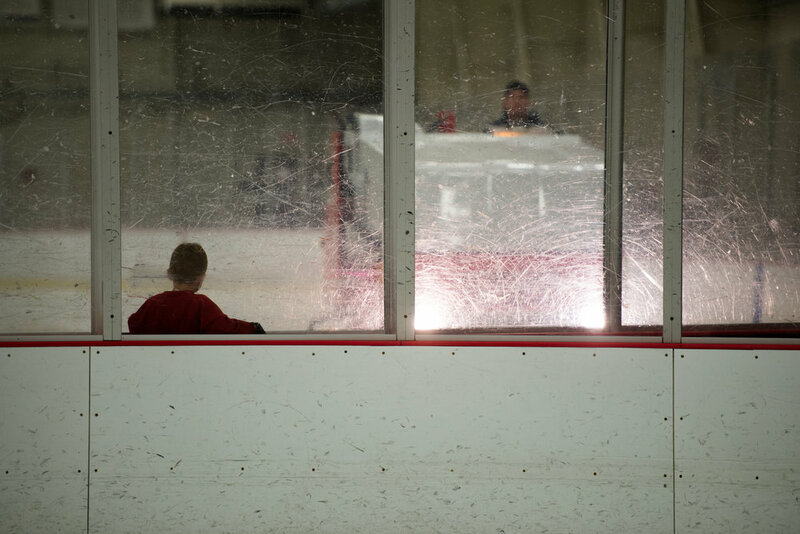 Falls are expected and even practiced so tears are rare, even though some nine-year-olds with NHL aspirations may toss a frustrated sidelong glance at their parents in the stands. 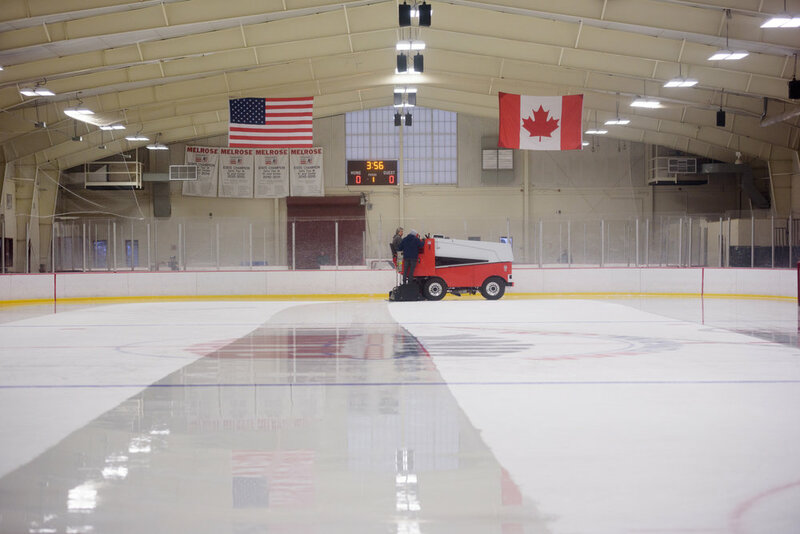 Those parents often offer a more interesting perspective onto the workings of the rink. They gossip behind the Plexiglass, some switching rapidly between English, Spanish and Portuguese. 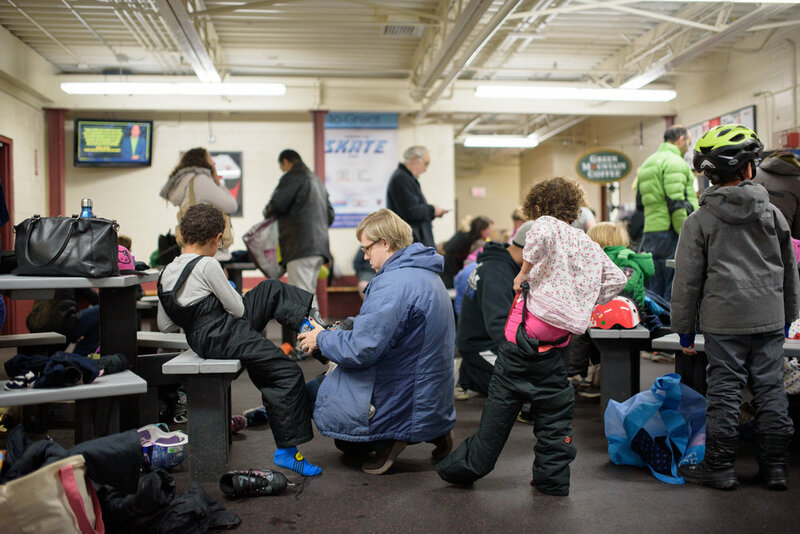 Some sit and chat idly in the heated concessions room, leaving the care of their children to their teachers for the afternoon, while others sit on the wooden benches, wrapped up in winter wear, staring intently to try and see something new. Some just look to make sure their kids are having fun, some look to see if their kids have potential in hockey or figure skating like they themselves did years ago. One mom watches the entire rink in search of material for her parenting blog. 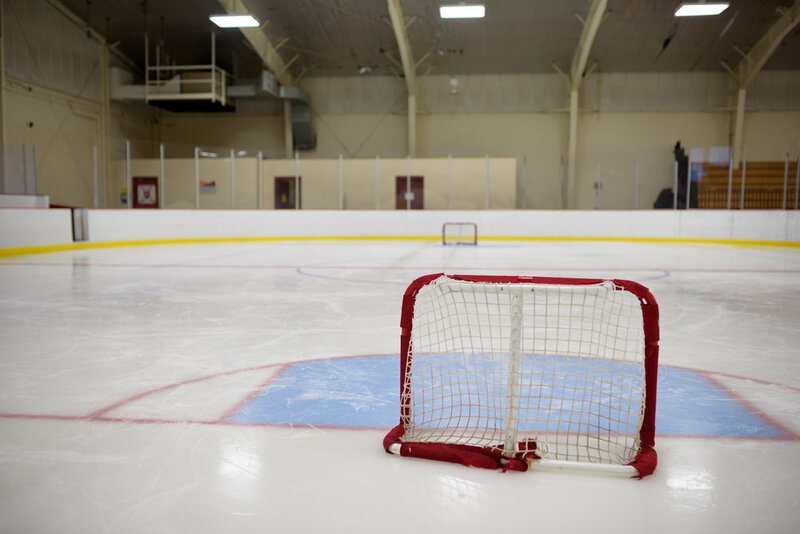 Some dad says to a friend, “That’s one of the things I love about this sport: hockey tires kids out.” And he’s right — as his daughter exits his lesson, she walks in her skates over to him and collapses in a stupor of happy exhaustion. This story was a final project for the Program for Narrative and Documentary Practice at Tufts University, under the direction of Samuel James.